First and foremost, we would like to thank Ultimaker & the Cura Open Source Community for creating and open sourcing this slicing engine! This means that AstroPrint users can now choose Cura 3.6.0 as their base slicing engine for all of their prints. Also, 3D Printer Manufacturers can now choose Cura 3.6.0 as the default slicing engine for all of their customers that use the AstroPrint software platform. 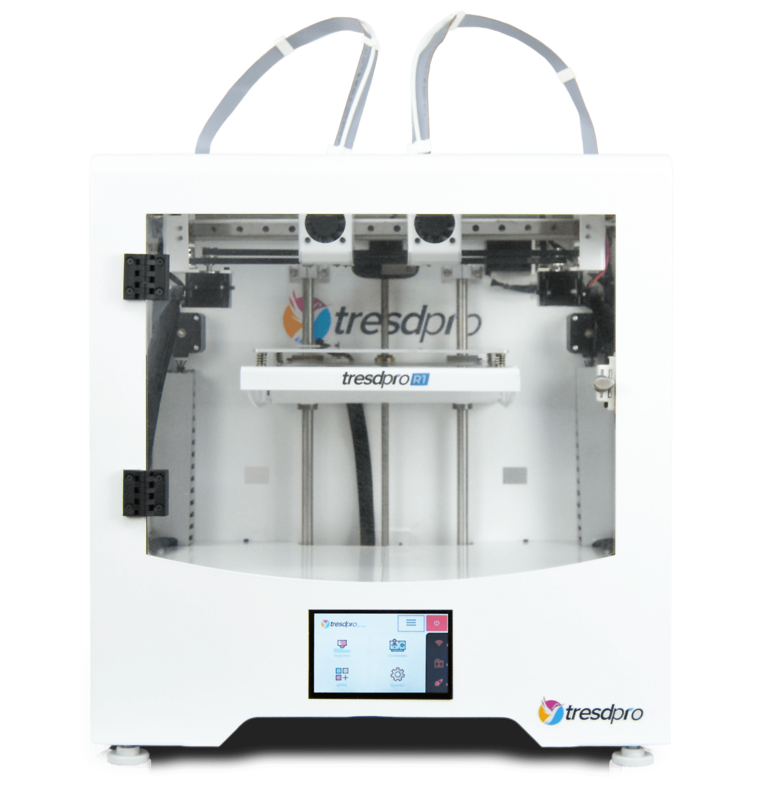 TresdPro, a Spanish start-up has partnered with AstroPrint to enter the 3D printing arena with the launch of its dual-extruder 3D Printer, the R1. A smart and reliable 3D printer for professionals. Last weekend, we walked around the NY MakerFaire and had the pleasure to see the first AstroPrint powered 3D printer that appears in public. Yay! Our friends at IMADE3D showed a prototype of their new JellyBox printer running AstroPrint software. This colorful printer allows students to learn about 3D printing by building their own printer. Unlike most DIY 3D printers, this one is actually easy and fun to build. One of the challenges after students build the printer is to get them excited about printing things. Until now, engineering grade software and horrible user interfaces haven’t helped with this. People can get discouraged by non-intuitive UIs, lack of networking capabilities and the time-consuming process of going from CAD file to physical object. We’ll be announcing more partnerships over the next few weeks. Stay tuned! If phone and computer manufacturers can make software upgrades over-the-air, why 3D printer manufacturers can’t? For most 3D printers today, users have to tinker until they find the proper slicer settings. Or, they have to download recommended slicer settings to make their own printer profiles. AstroPrint has solved this issue, allowing manufacturers control their slicer settings in a centralized way. 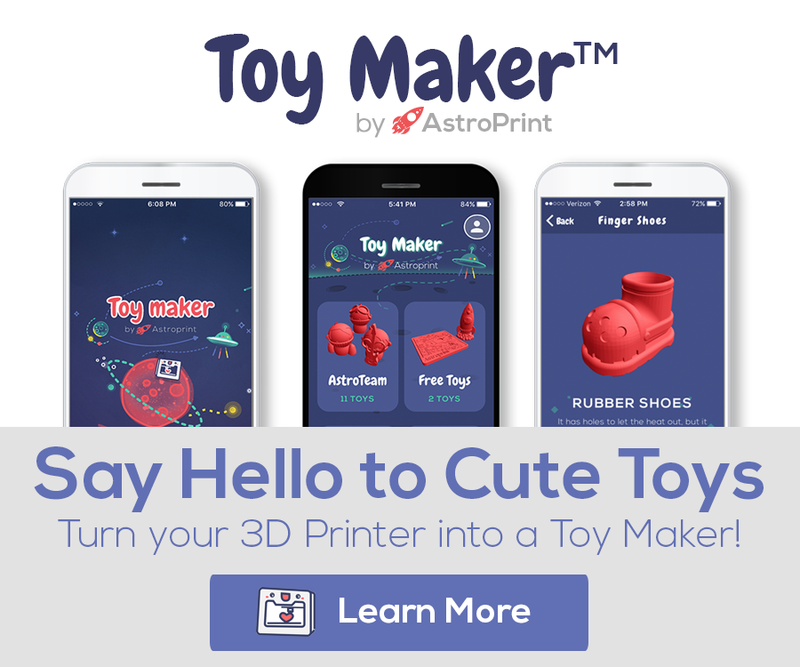 Many 3D printer manufacturers are preinstalling AstroPrint software in their printers. Just like Lenovo preinstalls Windows in computers, or Samsung preinstalls Android in phones. 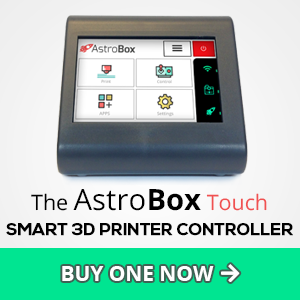 Thingiverse and Myminifactory now in AstroBoxTouch! Can you imagine accessing millions of 3D printable models right from your printer controller? Stop dreaming…that’s now possible. In our fight against software mediocrity, we have integrated the most popular model repository websites in our touchscreen controller, as user-friendly apps! The Mod-t, a beautiful, cloud-connected and easy-to-use 3D printer for only $299. NewMatter recently announced it will shut down operations. What went wrong? Some 3D printer manufacturers are making their own user-friendly software innovations to make printers more approachable. However, they don’t sell enough units. But why? Don’t people like easy-to-use 3D printers with a sleek design? Many companies are trying to sell 3d printers as the future of technology… with a blue LCD screen from the 80’s. Today, 3D printers are the only piece of technology that comes with such an antiquated user interface. But, do we really think that 3D printers can go mainstream while they come with the old monochrome display? It is clear by now that cables and SD cards are not the future of 3D printing. As more users demand their printers to be wireless, 3D printer manufacturers are increasingly making wifi-connectivity a priority for their printer line. However, many of them are simply connecting a desktop 3D printer to a local network and that, is not the future. A step further is to connect printers to a cloud platform. 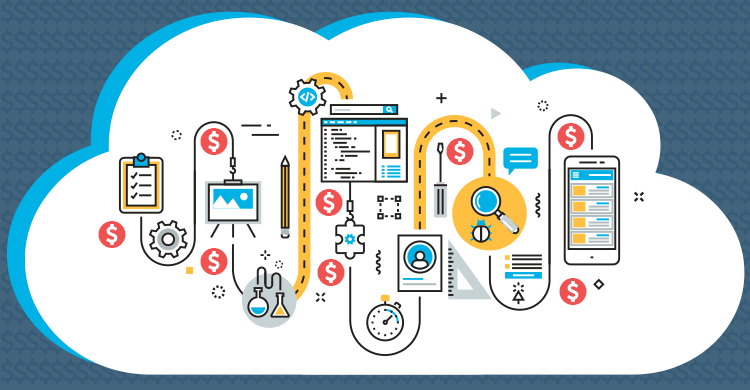 We live in the era of the internet of things, where every device gets connected to the cloud. However, most 3D printer manufacturers don’t really understand what the cloud does for a 3D printer. What are the advantages of cloud versus local network for 3D printers? Do 3D printers gain value when they are cloud-connected?